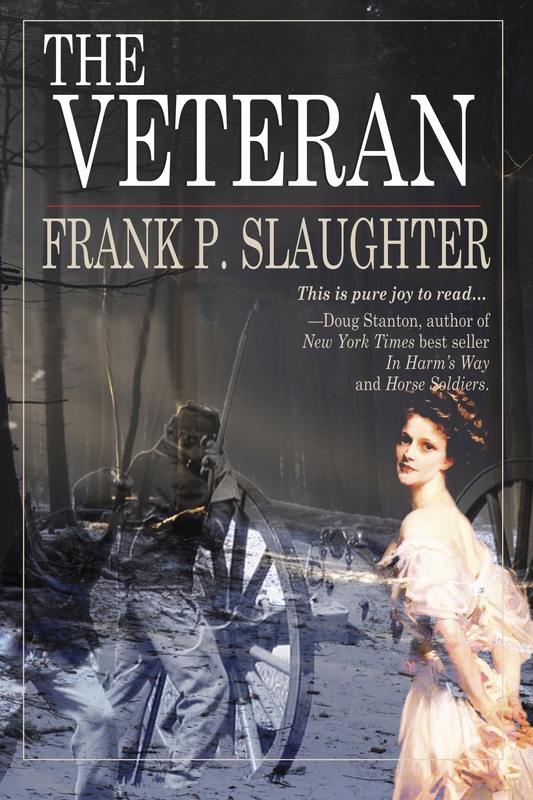 The Veteran is the first book of a trilogy that chronicles the journey of the Castor family through three of our nation’s bloodiest wars. The saga begins with the crushing Union defeat on the final day of the battle of Chickamauga, where Will Castor’s artillery battery is overrun by the enemy in fierce hand-to-hand combat, every member of his gun crew is killed, and he is asked to end the suffering of his wounded sergeant. Caught behind enemy lines with a broken leg and unable to walk, he makes a pact with a war-weary Confederate deserter and meets his former enemy’s beautiful sister. Will comes home from the Civil War a broken man. Although Post-Traumatic Stress Disorder (PTSD) is a phrase ripped right from today’s headlines, it has affected the lives of countless veterans from all of our country’s wars. This is the story of one man’s journey as he struggles to regain his footing in a world he no longer understands. He finds work in a lumber camp and experiences the rough-and-tumble, and often violent, world of the Michigan lumberjack. Guilt and alcohol slowly consume him. When he can go no further, alone in the vast forest of Northern Michigan, five years after the last shot of the Civil War, the war for Will Castor is finally over. The Veteran is a gripping tale beautifully told. The ability of earlier Americans, both North and South, to find in each other respect, understanding, and forgiveness resonates from Chickamauga, to the great primal forests of northern Michigan. It is a message our country desperately needs to hear again. The unwavering belief in one country, which carried our ancestors forward in battle in the face of almost certain death, comes shining through at every turn. You’re going to like Will Castor. This simple Civil War soldier is going to captivate you and show you a very different kind of war. “Echoes of Distant Thunder” by Frank P. Slaughter isn’t one of those big Civil War books we’re all used to, but something much smaller and more personal, a look into the depths and scope of one man’s soul. The story begins in 1971 with an inheritance coming to Paul, Will Castor’s great great grandson: an antique wooden box containing some old letters, a pocket watch, and a Civil War era revolver: The watch, inscribed “Love Always, Mollie,” is a mystery as is Will‘s tombstone with the word “Peep” carved beneath the Civil War designation of Pvt Bat D 1st Mich An (Private in Battery D, lst Michigan Artillery). With these two mysteries in place we‘re sent back in time. Chickamauga, Georgia, September 20, 1863. Another sleepless night for Union private, Will Castor, and a day of relentless battle. The Union is losing ground. They are withdrawing. Since just before daylight the cold, heavy air had carried the deep rumble of artillery ﬁre to them from somewhere over on the left, and it had steadily increased in volume and urgency as the morning wore on. The battle continued: The guns of Battery D were taking a terrible toll on the Confederates as they crossed the old cornfield but they could not ﬁre fast enough to stem the tide, and all six guns were running out of ammunition. Friends and comrades die terribly around this country boy from Michigan. The aftermath of that day’s war being that he’s forced into horrible acts he would never have considered in his earlier, simpler life. One of the strengths of the book is that the author doesn’t intrude, never judges, simply lets Will go about staying alive, moving from crisis to crisis, until he is home, in Michigan, again. Unfortunately he’s home with dreams that haunt him, and scenes in his head that ﬁll him with guilt. In Michigan, Will tries to make a life for himself as a changed man but he travels through the rural world of northwest Michigan as if he deserves nothing, let alone to be left alive. The lumber camps draw Will into the rough life of men alone in the woods. As with the rest of the book, nothing is glossed over, only bare truths are given, which are sometimes funny. The lumberjacks, most of whom considered it unhealthy to bathe more than once a year; were beginning to give some thought to personal hygiene. The bane of all the men was the louse, body louse or crab louse; they all were hosts to both varieties. With this wealth of personal livestock, the lumbermen came up with a non-contact sport that involved pitting one louse against the other in ﬁghts to the death. It is here, in the lumber camp that Will faces another challenge, and himself, when he comes close to blindly killing a man simply because he can. Will heads farther north again and straight into the path of a terrible forest ﬁre burning the state from coast to coast: …the next morning the smoke was even thicker and the wind had picked up and swung around to the southwest . . . Will weighed his options and quickly decided against trying to outrun the ﬁre. He pulled off his boots and socks and stuffed them in one of G.D.’s packs and then picked up the mule’s lead and waded out into the lake. Will survives another trial by ﬁre. Details of Michigan history, woven through the narrative, ground the story firmly in place and give a peek behind the curtain of time. These are events we’ve heard of, and now we have a winsome character taking us to places like the Michigan Battalion in the Civil War where we are a part of a devastating day and a cruel loss. And then the forest ﬁres that leveled Chicago and much of Wisconsin and Michigan. We’re taken to lumber camps and graphic stories of camp life—funny and cruel, to the way men set up business at that time, found wives, made a life for themselves, and left secrets behind. Eventually Will ﬁnds his way to Monroe Center, between Sherman and Traverse City, and a measure of peace. The frame for the story, through the use of the great great grandson and the mysteries surrounding Will work beautifully to highlight portions of his life. The author is very much in charge of his work, not bleeding dry the scenes of carnage but always keeping us in the head of this simple man who is probably Every Man: likeable in his plodding way; understandable in his quiet misery; victorious by his own measure of victory. On many levels, Echoes of Distant Thunder is a very good book. _Elizabeth Kane Buzzelli’s fourth book in the Emily Kincaid mystery series is in stores now. The public is invited to the launch of “Dead Dogs and Englishmen ” at Brilliant Books in Sutton’s Bay on Friday, July 22, 7 pm. Wine, cheese, and the music of Noel Coward will be featured. “Will Castor serves in Battery D, 1st Regiment, Michigan Light Artillery, sending shells into the ranks of Confederate infantry whenever he’s ordered to do so. When his unit’s position is overrun at the Battle of Chickamauga, Will witnesses and commits ghastly horrors to survive the day. Separated from his army and incapacitated with a broken leg, he hooks up with a Confederate deserter who takes him home to Tennessee and shelters him…. Haunted by the traumas of the war, the wilds present Will with an unexpected opportunity for redemption—though it may prove to be an even greater battle than the one at Chickamauga. empathy for this broken veteran, stumbling about in an era when the language for such aftereffects had not yet been established.